Michael began his career in the Financial Services Division of Arthur Andersen & Company in 1987 before joining Continental Bank in 1989 where he spent four years working in various roles including Internal Audit, Economic Research and Global Trading & Distribution. In 1993, Michael began a 20-year career with McDonald’s Corporation in the Treasury Department initially working on the Capital Markets team. In 1997, he took over responsibility for McDonald’s foreign exchange hedging program. Working with McDonald’s Supply Chain, suppliers, and owner/operators, Michael was primarily responsible for the vision and leadership behind the growth of McDonald’s commodity risk management program from a pilot initiative to a major strategic advantage for McDonald’s by providing competitive and predictable food & paper costs. Michael was recognized with Treasury and Risk Management magazine’s Alexander Hamilton Gold Medal Award for his accomplishments in building McDonald’s commodity risk management program. 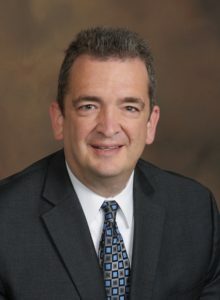 Michael joined OSI Group LLC in 2013 as Vice President – Chief Accounting Officer before joining Global Risk Management as Executive Vice President in 2016. Michael holds a Certified Public Accountant designation as well as a Series 3 license.